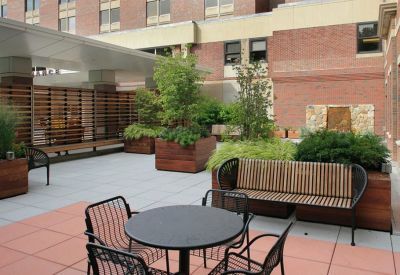 Challenge: To design and install a rooftop Healing Garden to provide a multi-functional outdoor space for the entire hospital community. 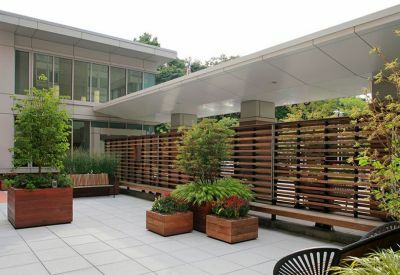 Results: Considering the architectural detailing of the existing redwood privacy screen, the Pressley Associates design team created a welcoming garden with several intimate seating areas and an event space for large-group gatherings. 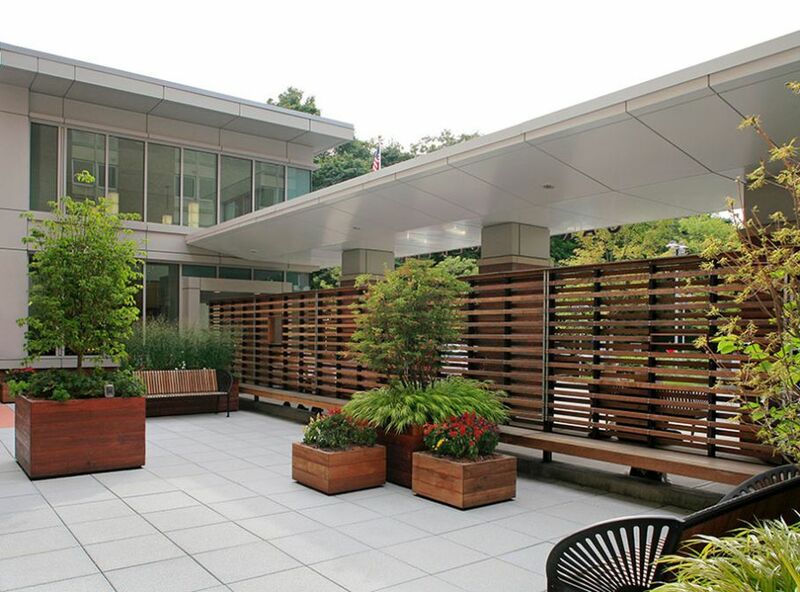 Redwood raised planters and benches were incorporated to match the existing screen wall. A water feature was designed to calm the space and to block adjacent noise. The design solution strengthened the efficiency of the space by increasing the number of users that the garden could accommodate. 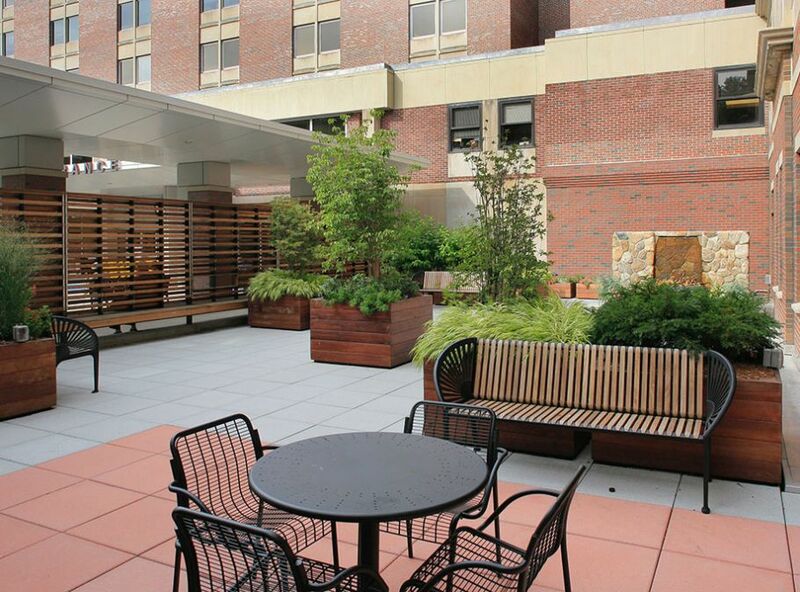 Additionally, LED light fixtures within the raised planters and water feature allowed the Hospital to house evening events and gatherings.